I had to force myself to ‘sit’ today. After my ‘great realization’ yesterday – or rather, ‘admitting that I have a problem and want to do something about it’ – I left feeling, well, freaked out. I’ve always been very careful to control, structure and limit access to my ‘personal’, particularly online. And spilling my guts about my unique neurosis, potentially life-altering steps toward mindfulness, and the possibility that people I know could read about it(!) freaked me the hell out. I got in the elevator after posting and thought, “What have I done? !” But I made a conscious decision a few months ago to start doing things I never let myself do before – like not dwell on little, embarrassing moments from my past (yes, I do that) and to challenge myself, even in small ways. So I left the post. And it still freaks me out, I have to admit. Maybe that’s the point? Yesterday, I snarked at my sister. She has a sharing problem, and I experience brief moments of resentfulness when I so freely share things with her – and by that I mean, physical things, food, money, etc. – and she doesn’t/can’t/won’t reciprocate. So last night, I told her not to expect me to ‘share’ anymore. Quandary – on the one hand, I feel a bit justified that if I’m shelling out for things that I willingly share with her, why shouldn’t she foot the bill now and then? But this thought quickly lost to, “She’s my sister. I love her. She’s my best friend. And because of that, I should share with her regardless”. So I’m going to apologize. But that sat with me last night, and part of today, and weighed on my day. Add that to an impressive workload and an aching back – my chiropractor did a number on me today (it was great! But…) – and so by 2:30 I was ready to crawl under the covers and hope for a better tomorrow. Armed with my iPhone and a pair of headphones, I forced myself away from my desk and into a quiet room to re-center. And boy, it wasn’t easy. The room next to me was experiencing some sort of intermittent, man-made banging or thrashing about (what do these people get up to in the workplace?) and someone opened the door on me, even though I’d clearly marked it “Occupied”. So, distractions and frustrations abounding, 15 minutes of mindful sitting was, to my great surprise, not the easiest part of my day. Who knew? It wasn’t the hardest by any means, but still. 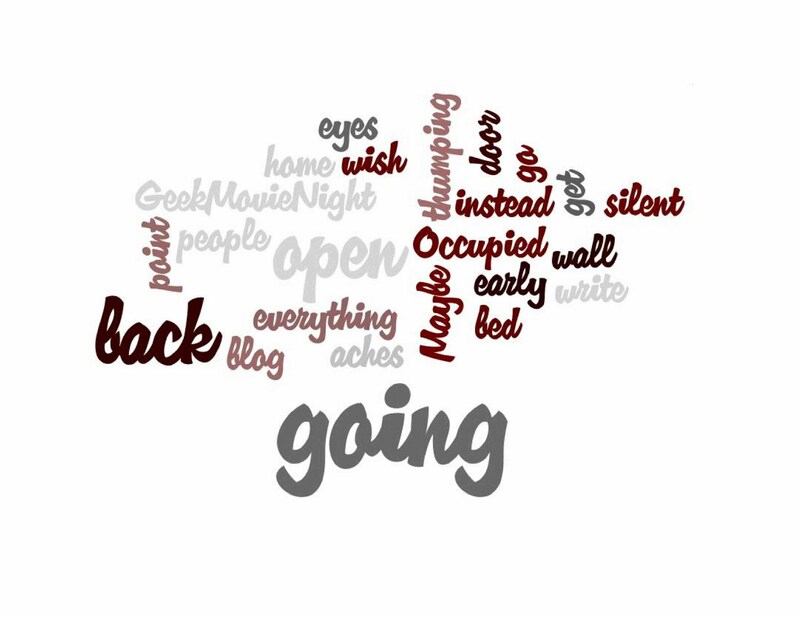 What was I going to blog about? How was I going to write it? Why are these people thumping the wall? Why did you open the door, it says “Occupied”? My back aches. Maybe I should go home to bed early instead of going to #GeekMovieNight. I wish I could get back to that point where everything is silent. Don’t open your eyes. Finding it hard to just let go, I decided to focus on something that wouldn’t distract me and began to imagine myself somewhere peaceful. I recently took my first real vacation – 10 days in Maui with a friend I’ve known for more than 10 years. It was excruciatingly blissful, and our condo was only steps away from the beach. In my mind, I sat on ‘my beach’, with it’s golden, rust-colored sand warm beneath me, and envisioned the waves rolling slowly in, lapping at my toes, and I began to smile. 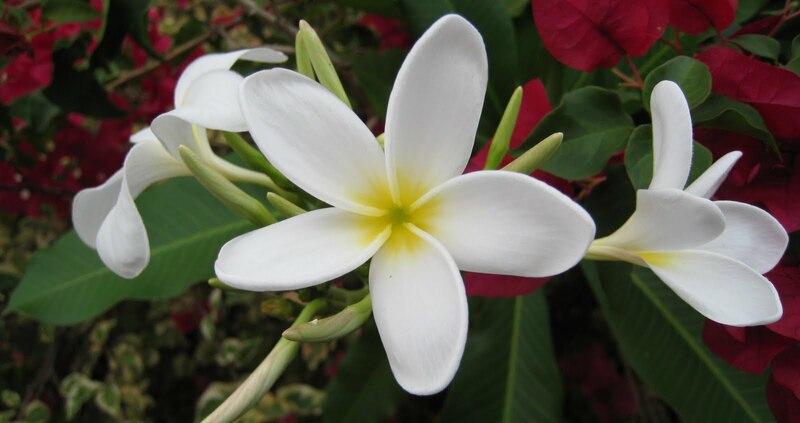 By the time the background sounds faded and my 15 minutes were up, I was longing for a few more minutes of solitude and the lingering scent of plumeria. And tomorrow, whether I’m busy, frustrated, tired, annoyed, exuberant or otherwise, I’m going to take the time to sit, again, and see where I end up.